Curse of the Swampies by Steve Carter, Antoinette Rydyr and Paul Elliott wins Best Feature Film Screenplay at the A Night of Horror International Film Festival 2010! Curse of the Swampies is based on the story, Plague of the Swampies written in 1993 - original concept and characters by Steve Carter and Antoinette Rydyr. Humans are no longer the most dangerous predators on the planet. Mankind is being usurped by a new apex predator. Any enthusiastic filmmakers with a genuine passion for horror/SF interested in learning more about Curse of the Swampies can contact us directly! Synopsis: There are monsters living among us! 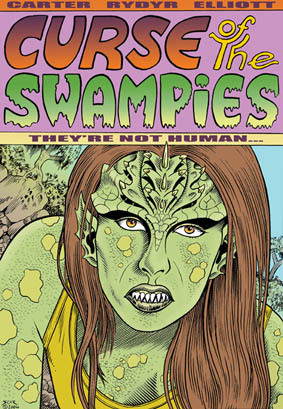 Swampies - a bizarre race of female predators that assimilates men to propagate its species. The Government’s misguided social experiment in co-existence has plunged the idyllic township of Epsilon Valley into a state of high tension. Within this climate of fear and denial, Mike, a defiant cop, is determined to save his estranged son, Riley, from the snare of the lascivious swampy, Ursa. 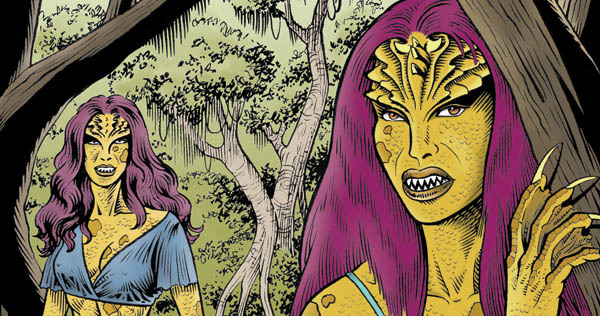 Riley is marked for death in order that a new swampy may live. Mike’s actions will impact his family, the community and challenge the very concept of life and death.